The romance genre has never been the same after Nicholas Sparks’ novel A Walk To Remember was turned into a movie in 2002. 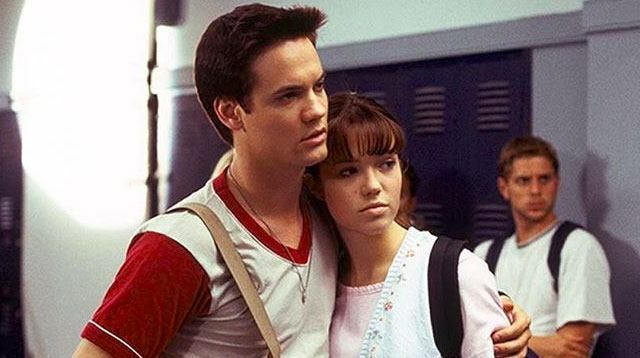 Yes, it’s been 15—16 in 2018—years since '00s teen queen Mandy Moore and the broody Shane West starred in the original sicktopia tear-jerker (*ehem ehem* A Fault In Our Stars). To celebrate the film's 15th anniversary, Mandy and Shane took a walk to remember (sorry, I just HAD to) and reminisced about their fondest mems doing the film when they spoke with Entertainment Weekly. The two stars also posted some maaajor #tb movie stills from the film. Landon + Jamie forever!